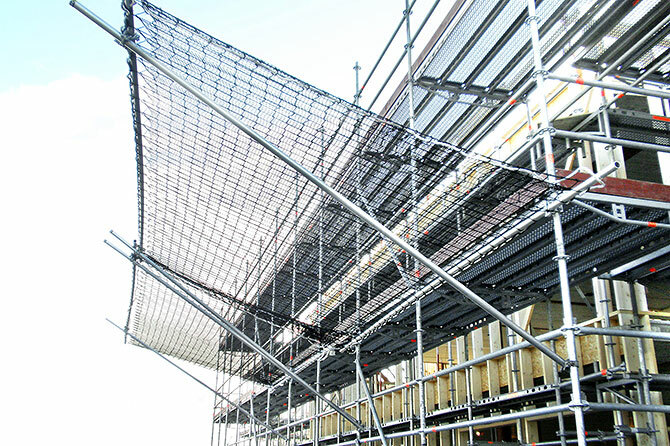 SafetyRespect Safety fan system for scaffolding is a compliment to our edge protection system and is used to catch falling materials and objects (not people) that may constitute a risk for injuries to people and damage to objects. 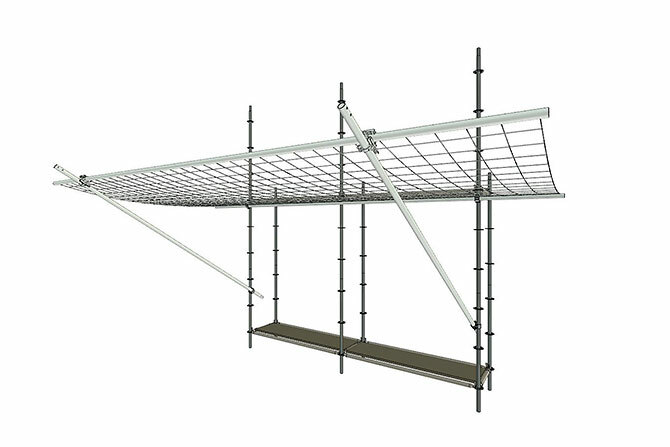 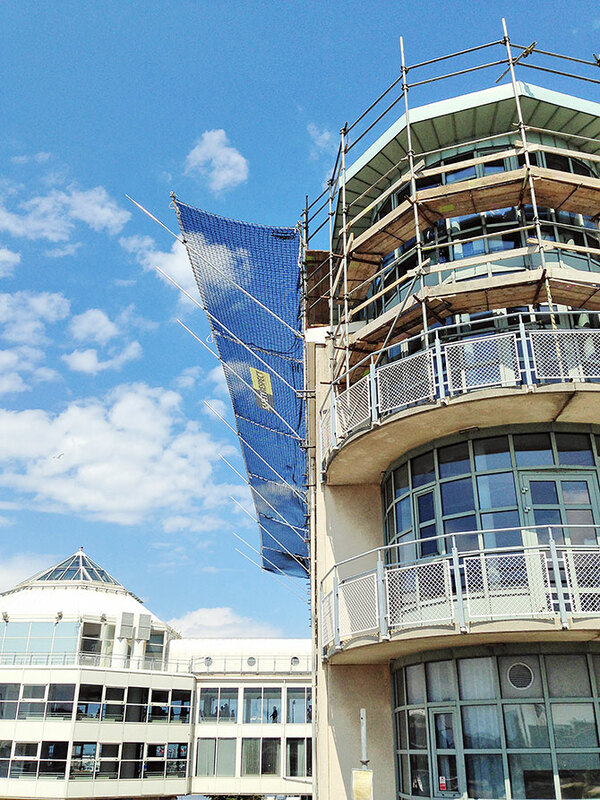 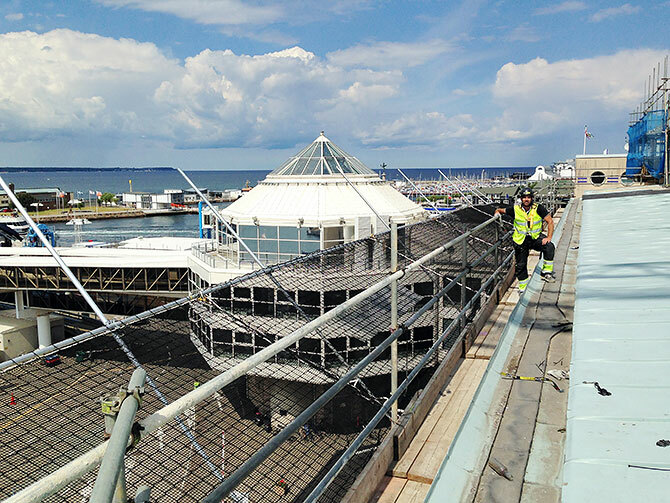 This system is adapted to be installed on most existing scaffold brands without any need of cranes and with the possibility of integrating SafetyRespect’s edge protection system. 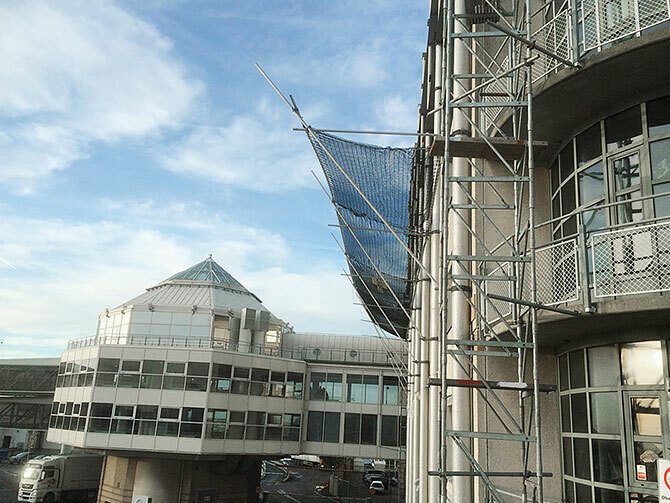 Pay attention to the increasing loads on the scaffolding.